DALLAS, TX -- As airport security lines get longer, the finger-pointing over blame is growing too. The trade group Airlines for America on Thursday said Congress should reverse a 2013 decision that diverted $12.6 billion in passenger-security fees to reducing the federal budget deficit. The airlines want that money to pay for airport security screening. They have zeroed in on a 2013 budget bill in which Congress raised security fees on airline tickets and ordered the Homeland Security Department to set aside $12.6 billion over 10 years to reduce the deficit, including $1.25 billion this year. Airlines are resisting. They say that bag fees have been common since 2008 and that long lines were not a big problem until this year. 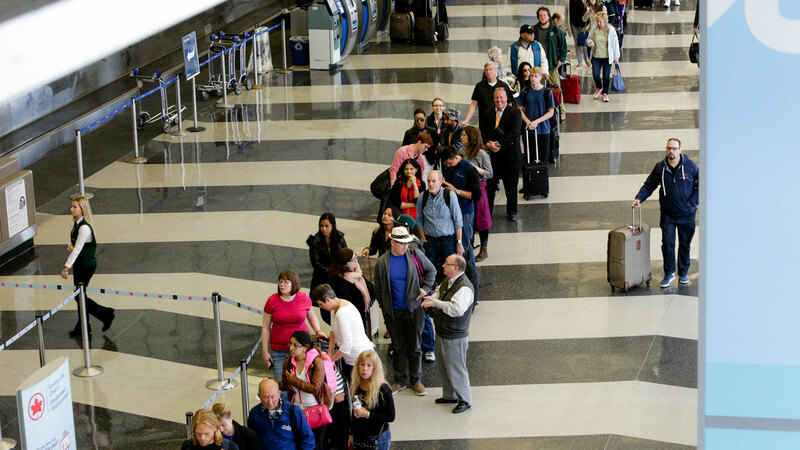 They also note that some of the longest lines have been at Chicago's Midway Airport, where the dominant carrier, Southwest Airlines, charges only for three or more bags. The TSA says that about $35 of the fee - which is good for five years - goes to the cost of vetting passengers and the rest is paid to the vendor who signs up passengers, MorphoTrust USA, so there is nothing to waive.